Maverick filmmaker and creator of the Bootleg Universe, Adi Shankar, joins me in the Lair to talk about the future of film and bringing the UK comic sensation Judge Dredd to life! Jimmy is joined in the new studio by some of his CNI senior staff members Emily Edwards and Kristin Garay. Kristin has a theory about drinking water in the shower and wants your opinions. They chat about the fake Superman/Batman script that Bieber tweeted, give congrats to friend of the show Carrie Preston on her Emmy win and Jimmy talks about finishing Saints Row IV. 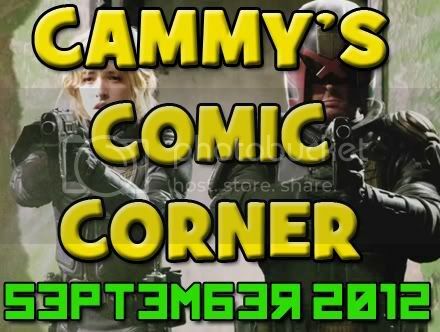 News includes: Z2 Comics relaunches, “The Flash” is cast in Arrow, more Harry Potter films are coming…kind of, 2000AD fans plan “Day of Action” for Dredd sequel hopes, experience The Little Mermaid in an annoying way and The Walking Dead gets a spinoff. As always, listener feedback, Top 3 and more. Leave your iTunes comments! 5 stars and nothing but love! This week it is all about movie reviews it has been a little while since I have dedicated an episode on movies. So I catch up big time with reviews of Alex Cross, Arthur Christmas, Django Unchained, Dredd, Hotel Transylvania, Looper, Pitch Perfect, and Wreck-It Ralph. Enjoy! Comic News Insider: Episode 424 is now available for free download! Click on the link or get it through iTunes! Sponsored by Dynamic Forces. Still more San Diego Comic Con coverage coming your way! Jimmy sat in on the roundtables for the upcoming Dredd movie and chatted with stars Karl Urban and Olivia Thirlby. He also sat in the first part of the press conference with Morgan Spurlock and managed to get a question in. Plus, he was able to get Saul Rubinek and Allison Scagliotti from Warehouse 13 as well! News includes: Marvel teases new Iron Man series, Marvel’s prose books get audio movies, DC hints at linewide crossover, Steve Rude seeks Indiegogo funds for project and The Hobbit will be 3 films. As always, listener feedback, Top 3 and more! Leave your iTunes comments! 5 stars and nothing but love! Tune in Thursday to hear the roundtables for SyFy’s new hit show Lost Girl! And then again on Saturday for the roundtables for the upcoming stop motion animated feature Paranorman!